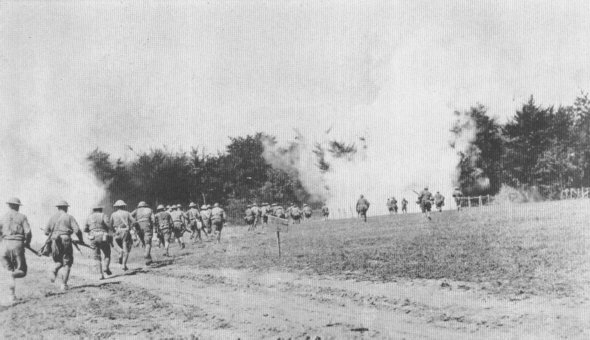 WAS IT A HOLIDAY?Companies M and K, 326th Inf., 82nd Div., advancing on enemy positions through clouds of poison gas, Choloy, France, Aug. 1, 1918. This division of men from Georgia, Alabama, Florida and Tennessee, had 7,336 casualties. 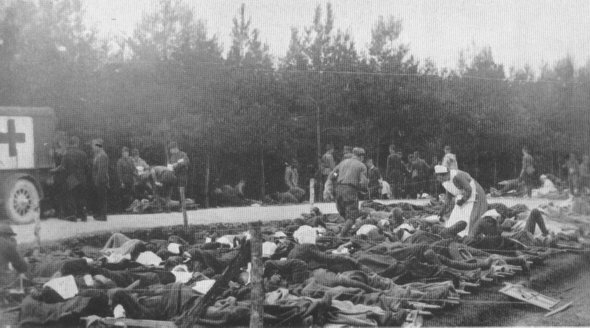 FOREVER AFTERGas patients of 82nd and 89th Divs., Aug. 1, 1918, exposed to the elements because facilities in 326th Field Hospital were inadequate for huge number of patients. Many of the after effects of gas are still unknown to medical science.